Click to view and download a print-ready PDF. A copy of the Map and Information Guide is available for complimentary delivery to any U.S. address through the commuter page Free Brochures by Mail program. 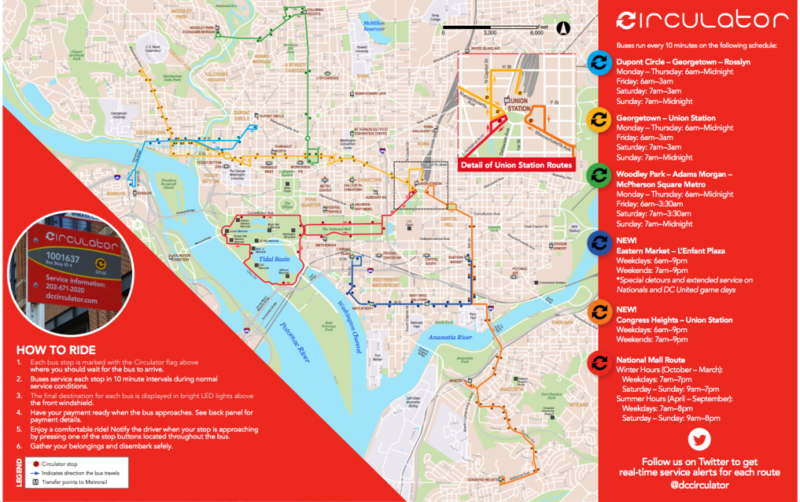 Visit the order page and select DC Circulator Bus to request one today. Need several copies for an event or large group? Request a bulk delivery of brochures through our contact form. Be sure to include your address and details of the event or organization you’re representing.